cPanel Reseller Web Hosting from GlowHost. Reseller hosting packages are excellent for site operators who wish to have better control and access of their own web sites than what a standard shared or multiple shared hosting account can provide. At the same time, we understand that many business owners do not have a lot of time on their hands to manage administrative tasks. Our cPanel reseller web hosting packages are fully managed, easy to control, and ease the administrative and accounting headaches that can come with managing many web sites. Plus, one flat monthly bill for all of your customer accounts makes turning a profit for your business easier. We don’t have “per domain” surcharges or per customer charges. 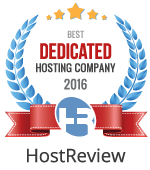 Our web hosting reseller plans are in a class of their own. The amount of disk space allotted to your reseller account for cPanel accounts. The amount of bandwidth/transfer allotted to your reseller account for cPanel accounts. The number of dedicated IP addresses included for your reseller account that you can assign. Additional dedicated IP addresses are available. No charge for instant setup and a free domain registration such as yourhosting.com or mycompany.net. Branded nameservers allows you to create your own nameservers such as ns1.yourhosting.com for your client's use. Pre-configured nameservers that do not mention GlowHost are available for use if you wish to not customize your own. Your account will be on a server hostname that does not identify GlowHost in any way. Included free is a website template for your hosting company ready to be configured to your needs. Get customized video tutorials for your hosting company to show your clients how to set up email, add a domain, and many more. WHMCS is the leading portal for billing, support, and system status. 1500+ Design Templates $9.00/mo FREE! $9.00/mo FREE! $9.00/mo FREE! $9.00/mo FREE! $9.00/mo FREE! Host unlimited domains on your reseller account! Our servers are compatible with PayPal's payment solutions and need no special server-side configuration. GlowHost support is available around the clock - even on holidays. Rest assured your site is up and running with GlowHost's 100% Uptime Guarantee. Industry leading 91 Day money back guarantee. Order with confidence! Softaculous allows for one-click install of the most cutting edge web site apps absolutely free. If you prefer, you can issue private SSL certificates to your customers via Let's Encrypt at no cost to you. You can of course charge for these as well. Your very own Comodo SSL certificate for your Reseller site absolutely FREE! You and your clients can install any brand of SSL certificate from the provider of your choice. Daily and weekly backups are created automatically for all of your accounts. Need to restore from one of our backups? No problem! A free service for resellers, normally $24.95 each occurrance. Our PHP Version selector allows you to select from multiple PHP versions to always ensure script compatibility. WHM and cPanel which can be branded with your company's look and feel, logo and custom links.